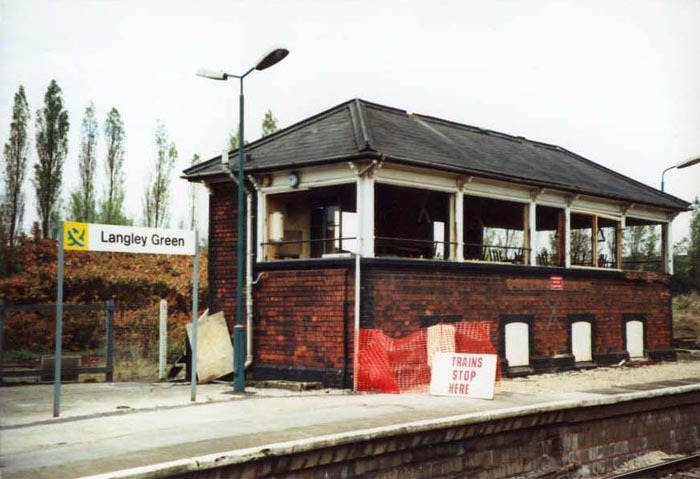 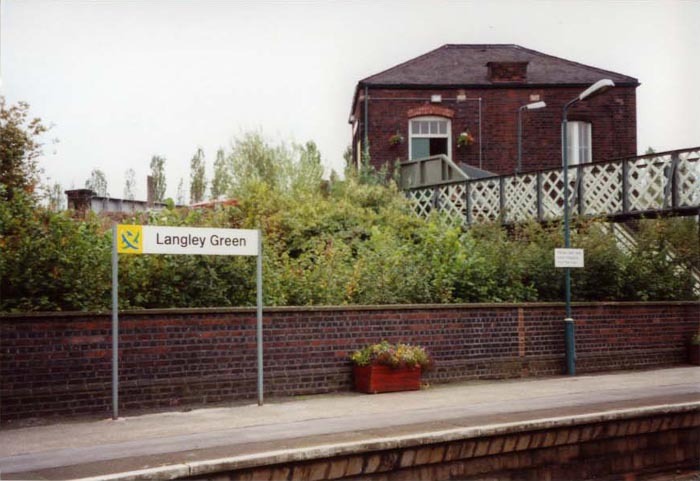 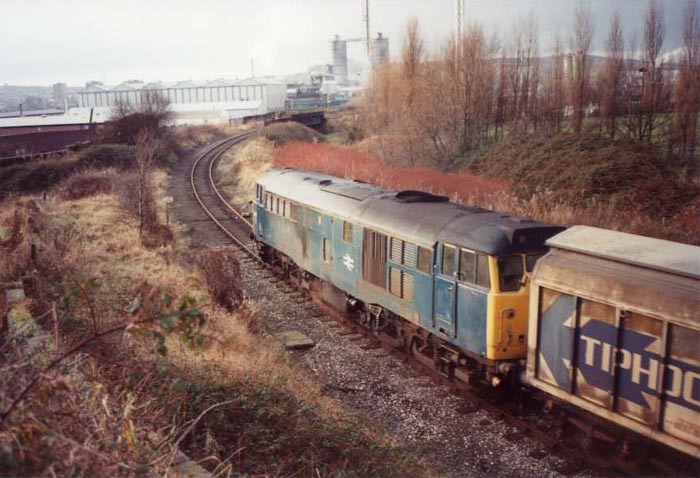 This great selection of photos was sent to me by Paul Rodgers and shows Langley Green station, and the ex-GWR Oldbury Town branch, shortly before the removal of the signal box, demolition of the original station building and closure of the branch line which, by this time, was only kept as a single line into Albright and Wilson's chemical works. 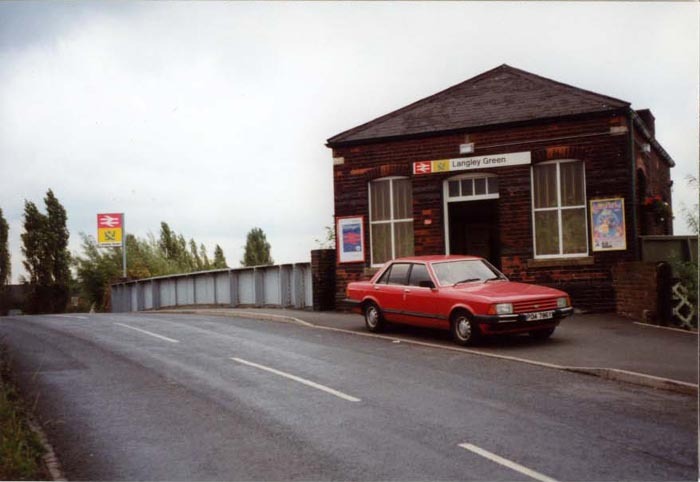 The original booking hall building on Western Road. 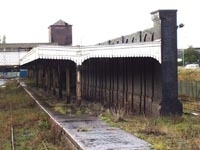 Platform-level looking at the rear of the booking hall. 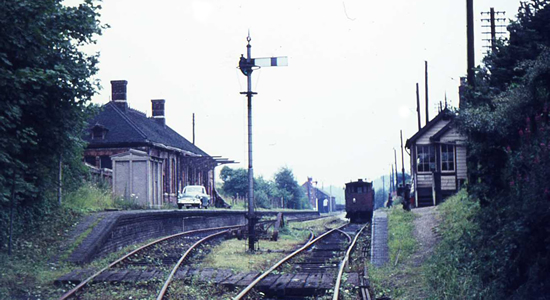 Looking towards Old Hill with the ex-GWR Oldbury Town branch heading-off to the right. 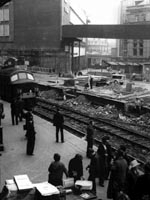 Birmingham platform and booking hall. 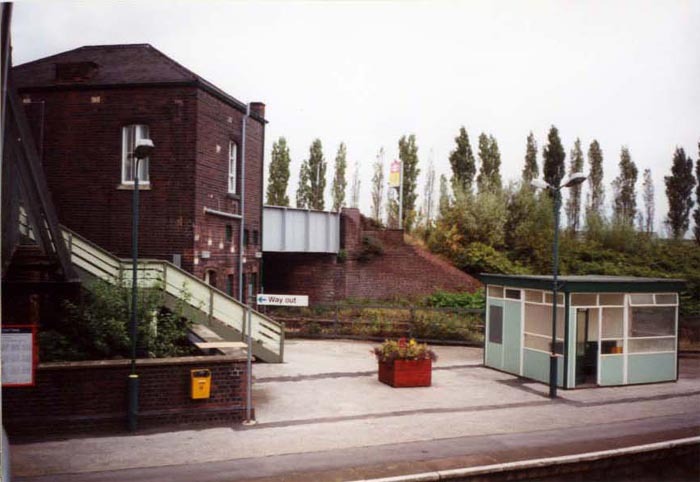 Looking down from the top of the entrance stairwell with the Oldbury branch to the left. 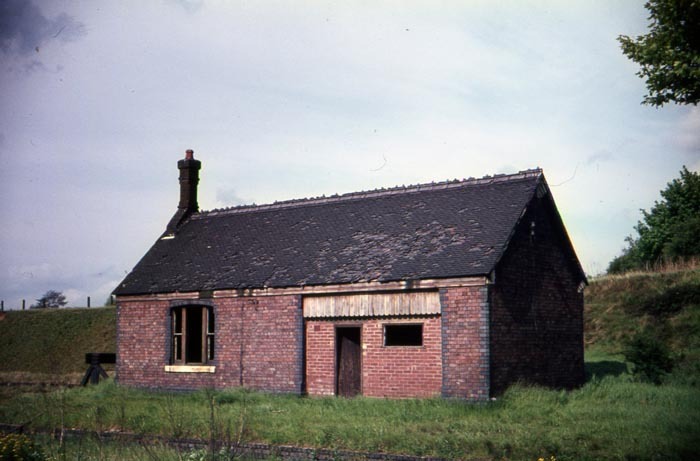 The condemned signal box on the Birmingham platform that once controlled the Oldbury branch and Rood End sidings. 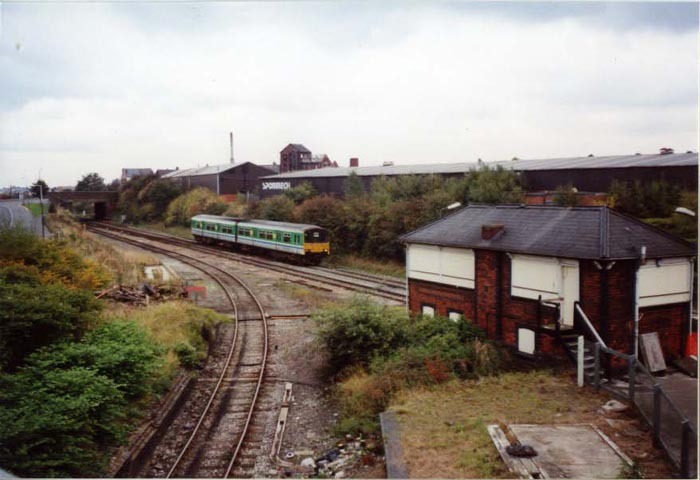 Another view towards Old Hill. 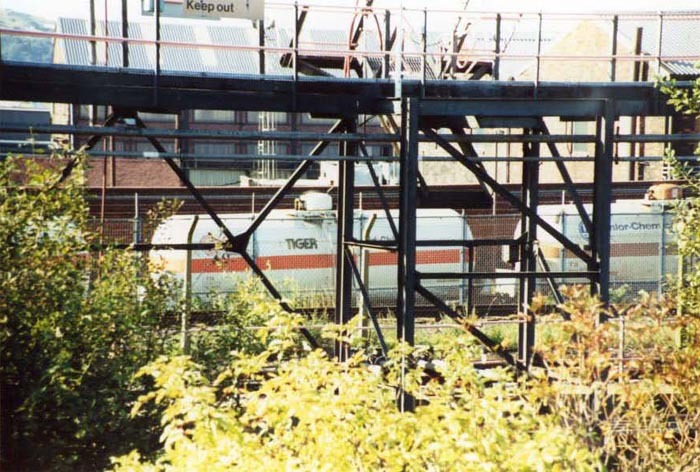 A tanker train takes the Oldbury Branch that was preserved to serve the nearby Albright and Wilson chemical works. 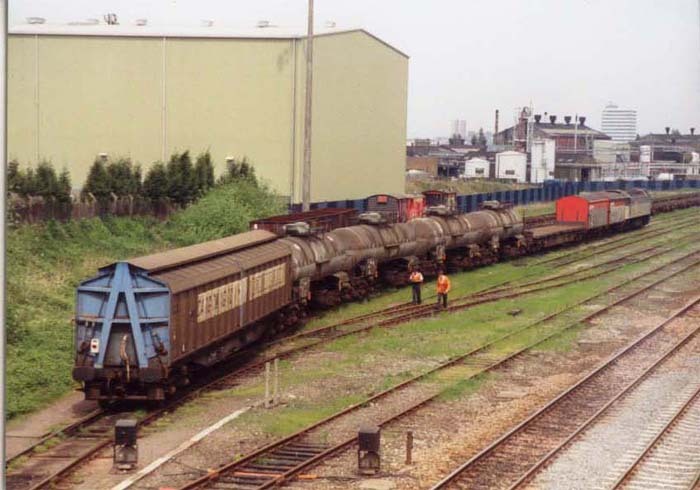 Sidings at Albright and Wilson's chemical works. 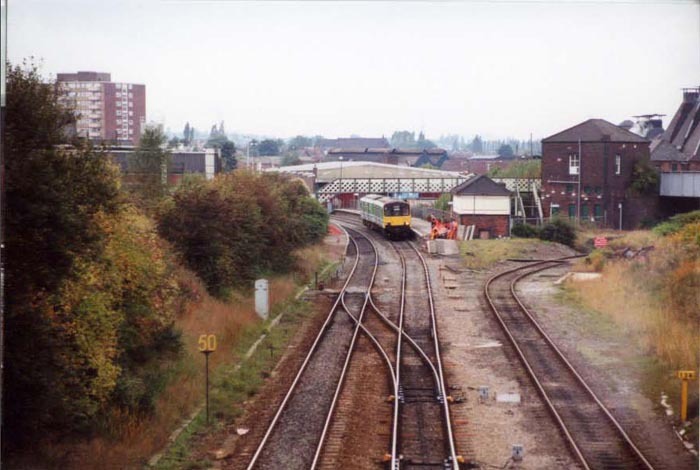 Heading off to the works, which can be seen in the distance, taking the curve from the station. 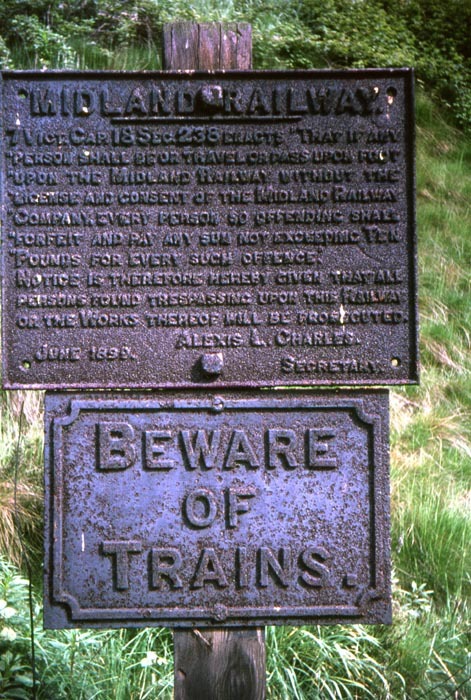 Inside Albright and Wilson's chemical works. 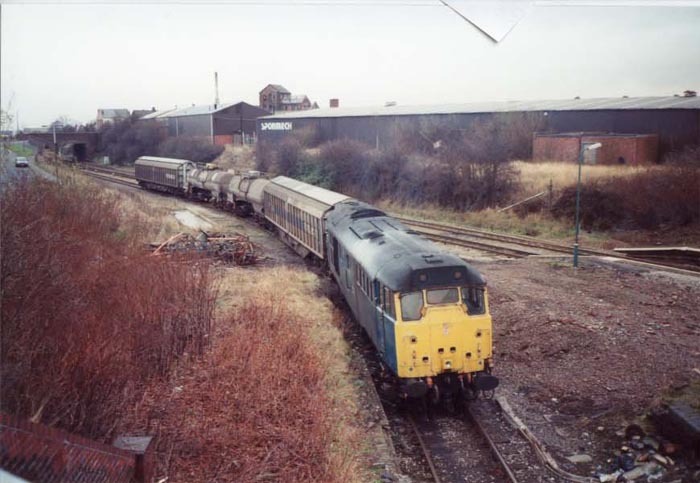 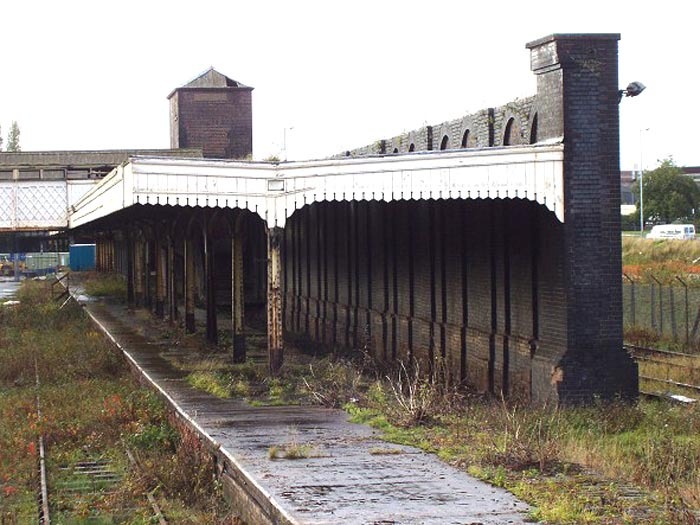 Below are four photographs taken by Peter, Magazine & Website Editor of the Lincolnshire & East Yorkshire Transport Review showing Wolverhampton Low Level station. 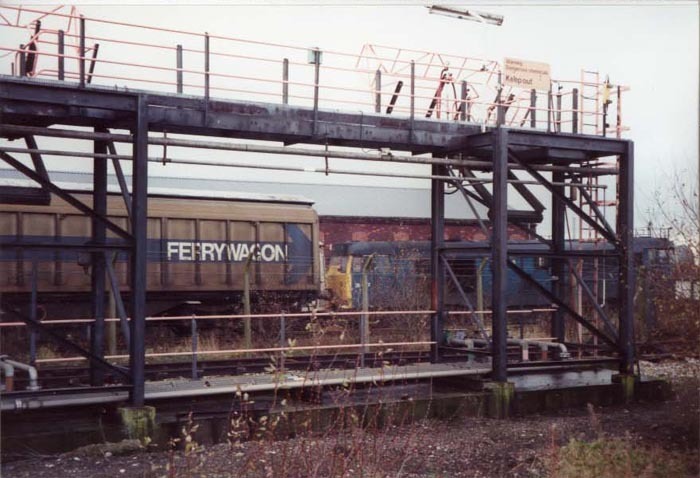 The photographs give a good impression of what is left at the site being taken after weed clearance had been undertaken and when access to the trackbed itself was possible: when I visited the area shown was fenced-off by contractors unfortunately, and heavily overgrown. 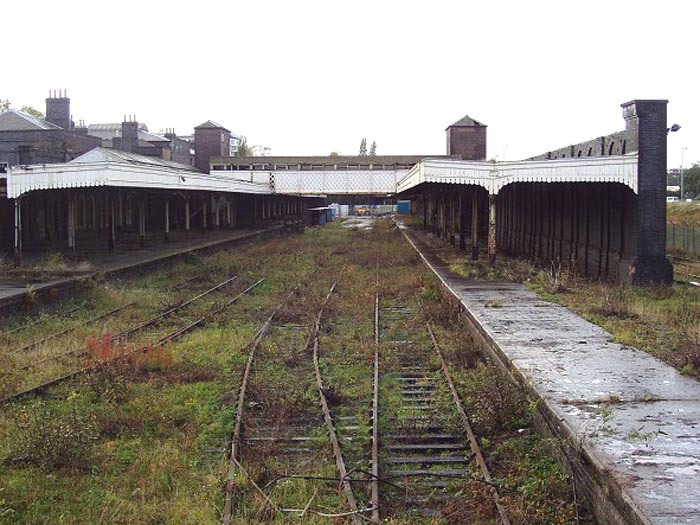 Here we see that the station is largely untouched from its operational days and retains many interesting, original features. 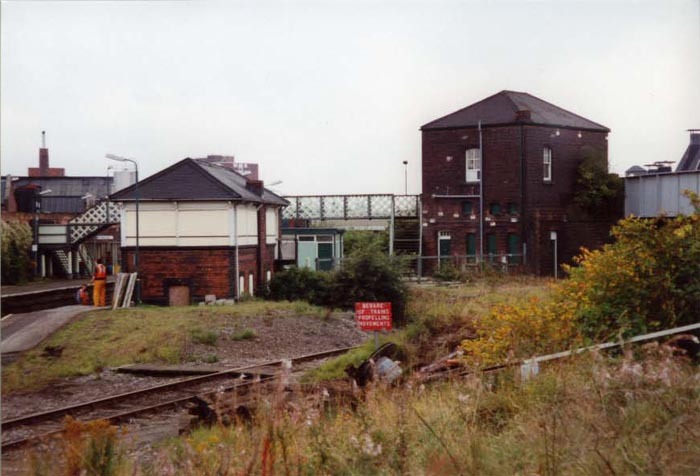 The view, as with all of this set, is looking towards Dunstall Park. In this shot we are standing with the Snow Hill platform to our right and can clearly see the lines are still in situ: albeit going nowhere as the redevelopment of the area truncates the trackbed behind the photographer. 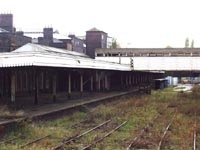 This shot takes a closer look at the Snow Hill platform with its distinctive GWR darted valance canopy still in tact. 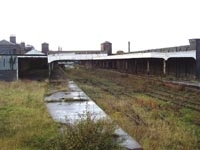 We are now looking at the Birkenhead platform that backs onto the station buildings themselves. 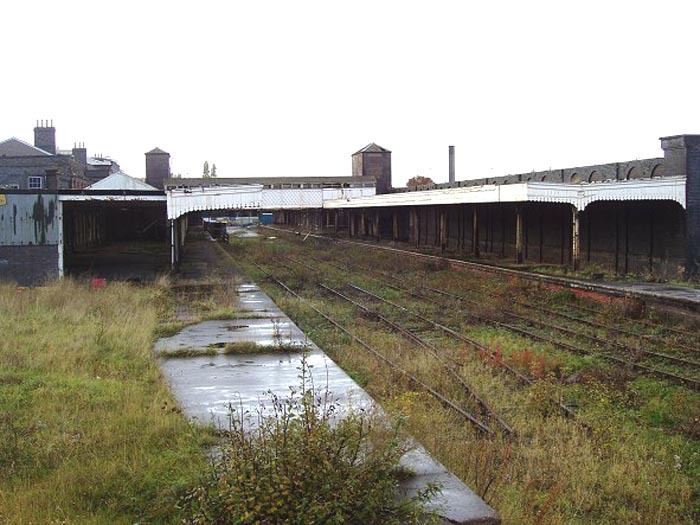 It is interesting how well it has survived (the station buildings are now listed structures) through many years as a parcels depot and in dereliction without any major alterations. 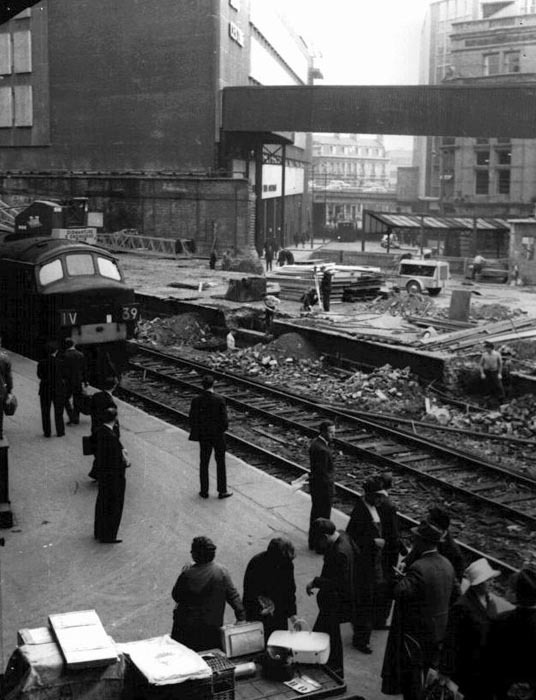 Reader Charles Steele kindly sent in the following two photographs showing Birmingham New Street during its transition from site of interest to eyesore during the mid-1960s and has kindly given permission for them to be displayed here. 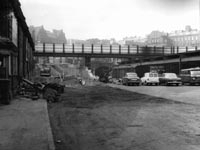 This 1964 shot is taken from the original footbridge at the station peering out through the missing wall to Dudley Street, with Station Street to the right. 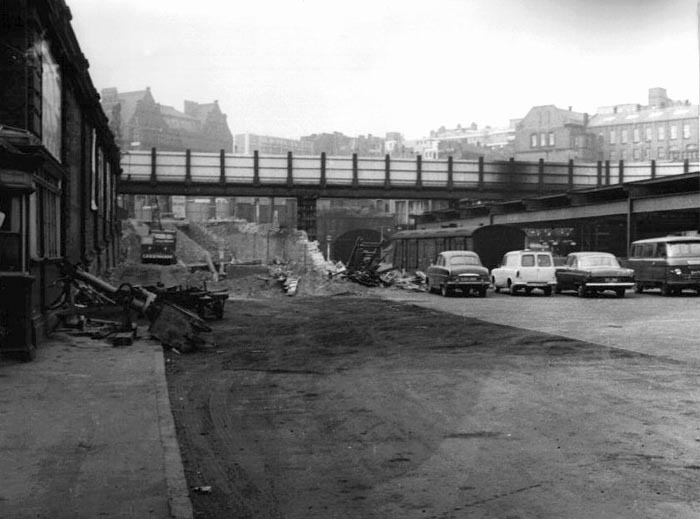 This impressive photo shows the old Queen's Drive in 1964, that bifurcated the old station, being removed.